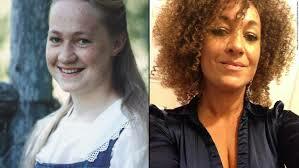 Rachel Dolezal sued Howard University for discriminating against her because she is white. The lawsuit didn't go anywhere. So, I guess she decided if you can't beat them, join them? No wonder she wanted to be black: Rachel Dolezal sued Howard University in 2002 for racial discrimination because she was white, The Smoking Gun reported Monday. Dolezal accused the historically black college of improperly blocking her job as a teaching assistant, rejecting her application to be a post-graduate instructor, and denying her scholarship aid. Dolezal also claimed the university removed some of her artwork from a student exhibition because it was “motivated by a discriminatory purpose to favor African-American students over” her. An appeals court dismissed the complaint in 2004 because it found there was no evidence of discrimination.